Juan Carlos Sarazua holds a BA in History from the University of San Carlos of Guatemala and a Master’s and PhD in History from the University Pompeu Fabra, Barcelona, Spain. He was a member of the “State Building in Latin American Project”, funded by the European Research Council at the University Pompeu Fabra. He is the author of articles on tax and state building in Guatemala. 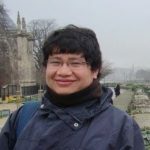 He is currently a postdoctoral fellow at the Centro Peninsular en Humanidades y Ciencias Sociales of the National Autonomous University of Mexico (UNAM).